The dagger board of a raft jangada much as it is today. 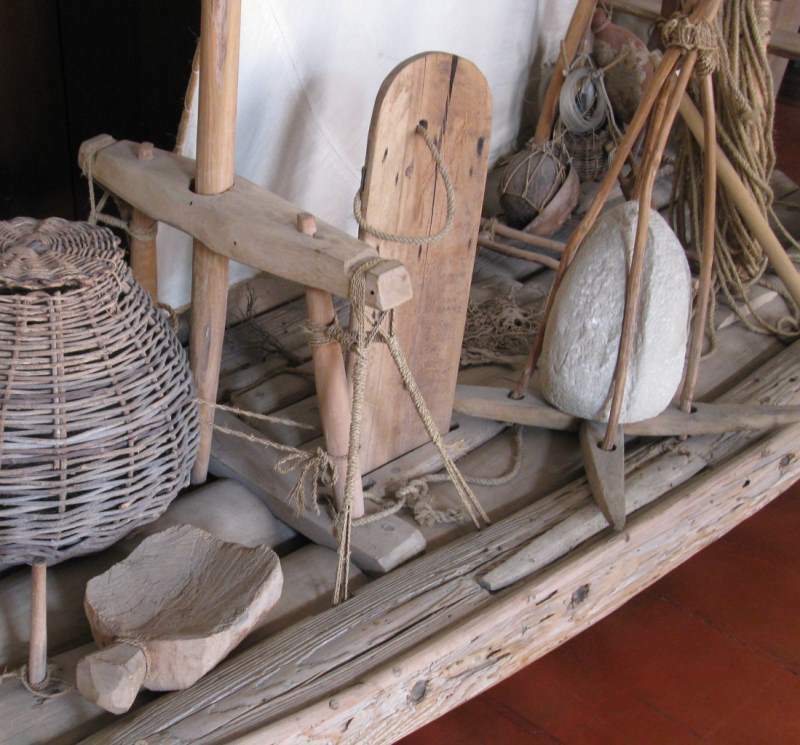 The rafts had two separate slots for placement – one port and one starboard – depending on the tack. Picture taken at the Museu do Ceará.